It's a warm and muggy Saturday night in August of 1942. The Nazis are liquidating the ghetto of Shedlitz, an industrial town east of Warsaw, Poland. Zippa, a twenty-seven-year-old Jewish woman, finds temporary shelter in a small attic, together with her baby daughter and a hundred frightened Jews. When the Nazi noose is tightened around her neck, Zippa asks her husband Jacob, a Jewish policeman in the ghetto, to save their little girl from certain death. The young father manages to smuggle his wife and daughter to the gentile part of town, where Zippa's childhood girlfriends Sophia and Irena reside. This is the real story of one Jewish family confronted by the terror of Nazi rule. 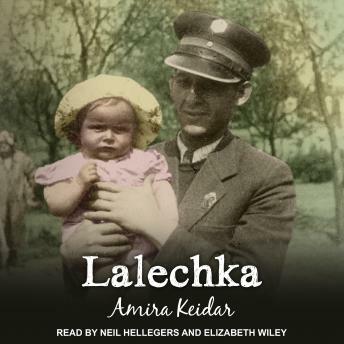 The book follows Lalechka, the little girl born into the chaos of war and holocaust and forced to struggle with the reversals of fortune that led her each time into foreign and terrifying regions. But, beyond that, it is the story of the true friendship of three girls in early twentieth-century Poland, a friendship that won't cower before government dictates.